"They compete for the power. Fight and kill for it, like dogs squabbling for a bone." Darnu, Horn of Oryx is a Taken Knight encountered in Taken corruptions in The Divide on Earth. 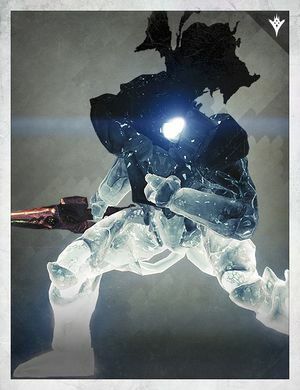 Darnu is one of three Taken champions in the Cosmodrome needed to be eliminated for the Taken War questline.